And the following are from an earlier shoot last year, which I also hadn’t yet shared here on my blog – it all started in the bluebell woods I so love each year, near my home, then we went out into the open fields. I already have a few people poised to do these in 2019. 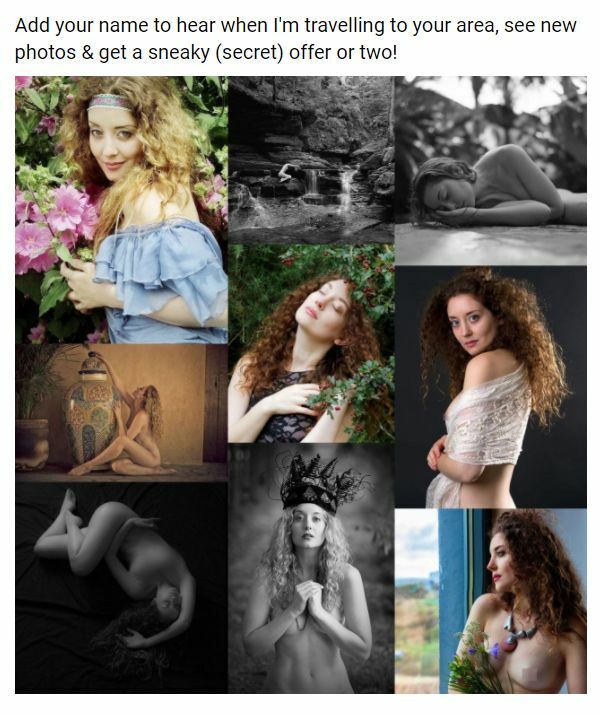 It’s such a pleasure to do these shoots around the woods – get in touch if you’d like to schedule a shoot with me. My favorites are #5 and the first two closeups where you are leaning into the tree and looking at the camera. Your look in #5 says “this way to mischief”. The closeups are beautiful portraits. Difficult to choose favorites amongst so many well done (poses, lighting, location) photos. Beautiful photos! A nice, warm respite from the extreme cold in New England!